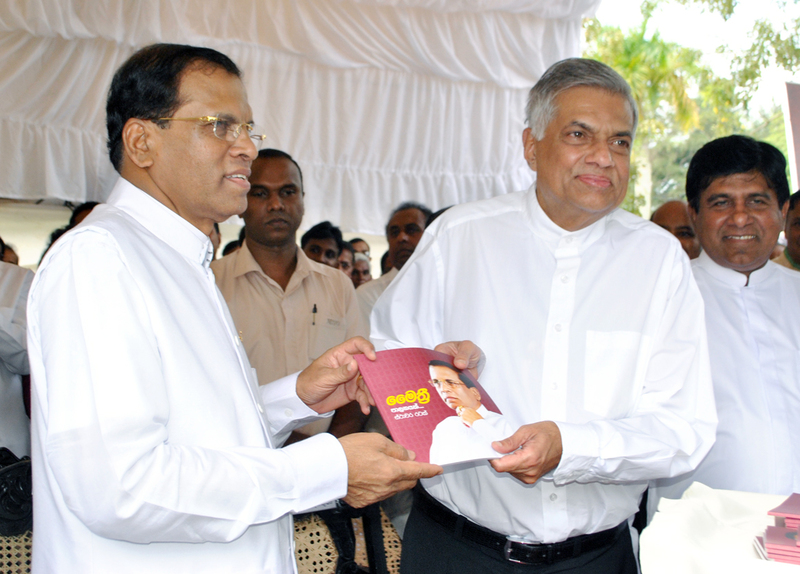 Maithripala Sirisena as the common presidential candidate promised many things to the people of this country. Among the most important of them were modifying the executive presidency and changing the electoral system. Both these have created major issues in democracy sometimes distorting it and muddied the political culture of our country. As such there was general agreement among the majority of people that both these areas need change. That was perhaps the main reason why the people of this country voted for a change on January 8 surprising the world – a kind of transformation that world at large did not expect in a foreseeable future. Now the executive presidency has been modified reducing much of its authoritarian nature. The term of the presidency has been reduced from six years to five while a two term limit has been set for one individual to hold the presidency. Introduction of the Constitutional Council which in turn will appoint eleven independent commissions for vital areas such as judiciary, public service, police, elections, finance, delimitation, audit, bribery and corruption will substantially democratize those areas. The powers with regard to appointments, transfers, removal and disciplinary control of public service, judiciary and police have been taken away from the political control of the president. Depoliticization of these areas is expected to ensure fair play and increase people’s power, so that political influence will not affect the day- to-day functioning of police, judiciary or public service. Yet with regard to the next most important area of the promised reforms there seem to be enormous difficulties when passing the relevant constitutional amendments. There is general agreement on removing the preferential system which has given rise to infighting within the same political party. Then with regard to the proportional representation system the argument has been that it gives a value to every vote and it is a very democratic system. Mostly small political parties including minority parties seem to like it because it is advantageous to them. The reason is that in an absolute first past the post system is a case of winner takes all, while the main two political parties win most of the constituencies small parties often get washed out in the fray. As we have seen in the past the only exceptions were the leaders of the political parties who were often popular figures in their own areas. There were also likes of W Dahanayake form Galle who could win even as an independent candidate. Gone are the days such independent candidates could win. Now the tendency is to back a winning party as most people support candidates expecting favours in a set up everything is politicized. In an effort to clean the electoral process what has been proposed and accepted now is a mix of first past the post (FPP) and proportional representation (PR) systems though there is disagreement over numbers. A hybrid system of PR and FPP was proposed by a parliamentary select committee on electoral reforms headed by Dinesh Gunawardena sometime ago. But even the final report of the committee never saw the light of the day as the incumbent President was not keen on implementing any of the reforms. The idea of electoral reforms has surfaced again in the current political debate as the twentieth amendment to the constitution. Several attempts to make it a reality after passing the 19th amendment has encountered obstacles due to the inability of the main political parties to agree on a formula for the mix. The process started with the Elections Commissioner Mahinda Deshapriya proposing a package that envisaged the election to 140 seats through the first-past-the-post system, 80 through a district proportional representation system and 30 seats from the national list making a total of 250 seats. After much debate the cabinet has approved a formula with 237 members out of which 145 will be elected on the basis of first past the post system and the balance from the national list. However now there seem to be disagreement again among the political parties on the numbers. The SLFP together with some minority parties have backed the idea of increasing the number of seats in the parliament. 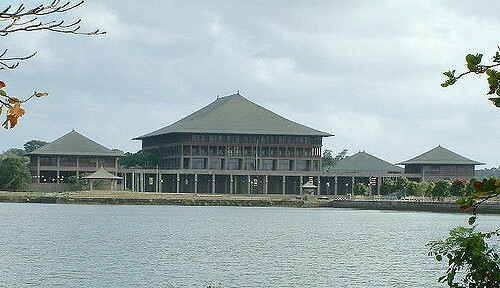 However the UNP has expressed its opposition to increasing the number and wants to keep it at the present level of 225.In a situation where the UNP appears to be keener on early parliamentary elections than further constitutional amendments it is not clear whether its opposition to increasing the number of seats in parliament is a mere ploy to sabotage the 20th amendment. This is all because the UNP believes early elections are advantageous to them. They feel that the threat of no confidence motions and the party's inability to be effective in parliament could make them unpopular day by day and an immediate election would give them a greater chance of winning a majority in parliament. However the real issue before the country is different. This government was brought into power on the promise of bringing about a fundamental change in the system of governance and the electoral process and thereby to reestablish proper democracy in the country. Therefore, there is a duty to deliver at least on the main promises during the tenure of this government. The objective of the most of the UPFA parliamentarians who back former president Mahinda Rajapaksa on the other hand, seems to be ousting Ranil Wickremesinghe government and running the country for the remaining part of the current parliament. Such a move will not receive the approval of President Sirisena as it will be contrary to the mandate he has received from the people. The mandate in short was to amend the constitution and the electoral process and to change the political culture of the country within a specified time and to dissolve parliament thereafter. When it comes to changing the political culture changing the electoral process is an absolute necessity. It is the prevailing electoral system which has enabled the corrupt and undesirable characters to get elected to the parliament by throwing money. A person who has become unpopular in his own locality due to his corrupt and criminal activities can win votes from the other areas of his district by spending vast sums of money. The preferential system of voting on the face of it appears to be very democratic and has worked well in some of the western European countries where the electorate is enlightened. But, our own experience has shown that it upsets the level playing field and distorts democracy instead of producing intended results. The net result here was that the educated and the cultured were prevented from entering the parliament because they often did not have the financial capacity to fight elections. 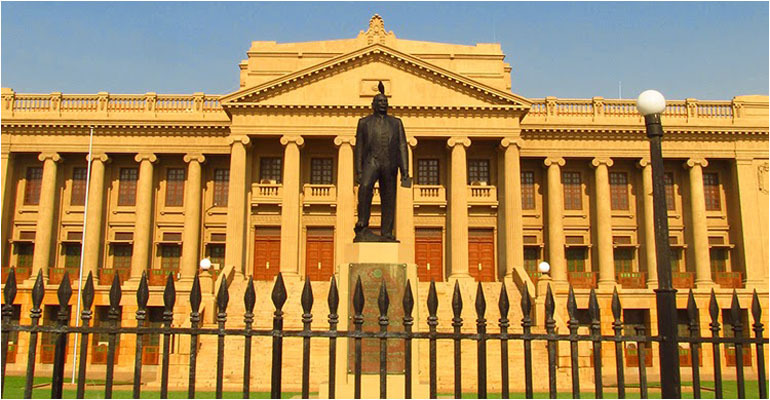 After all if we are to develop Sri Lanka as a modern democracy free of corruption we should elect proper people as our representatives in the country’s legislature and if we fail to do that everything else is bound to fail. From the people’s point of view it’s a case of sooner the better and reforming the electorate should not be left to a future government.